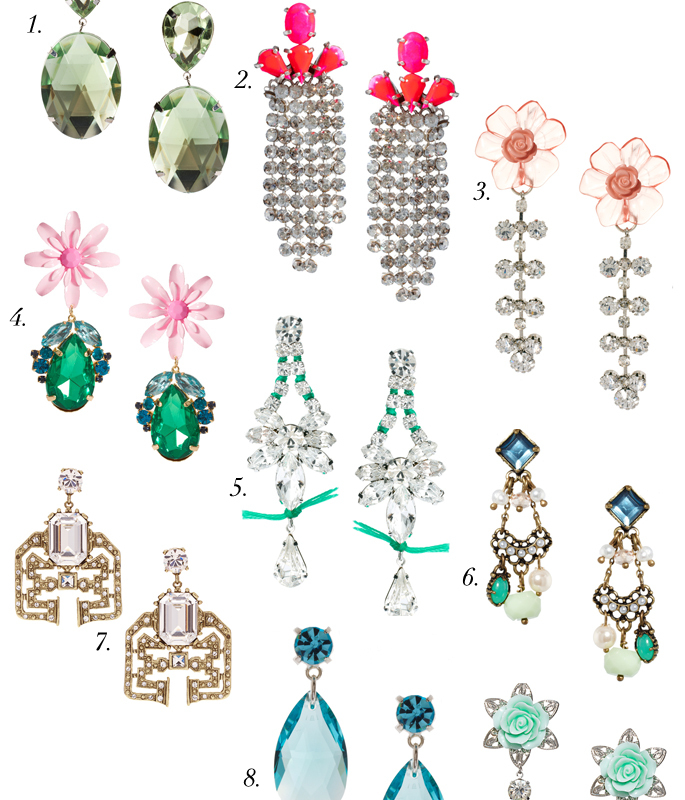 All of these earrings are gorgeous! Great bauble wear. you have such great taste, Krystal! Gorgeous! Now I want a pair of huge sparkly earrings...I only wear my pearl studs every day! Obsessed with #1 and #8... gorgeous! All of these are BEAUTIFUL!! I want them all! Haha I love sparkly jewelry! All of them are beautiful, but I really love number 4. All of them stunning but I adore number 4! On my way to check them all out! All of them are gorgeous, especially the 2 and 4. Oh They are nice ! Difficult to say which I like more. i've just discovered your blog and i really really like it!!! It's hard to choose a favorite! They are all gorge!! These are amazing! I don't ever wear earrings anymore, but I might have to start. So gorgeous! I need to show this to my Brides! I'm so in love with all of these earrings, I'm going to have to go through and look at each one individually they're so amazing! I can totally see you rocking these! They'd look great with your hair, too! Whoa I didn't know ASOS had such great jewelry! I usually don't even look in the jewelry section. Thanks for sharing, I'm definitely going to explore the jewelry area more! I love #6 for their complexity and beauty. Love the selection. And great blog! I read your blog every morning. I love #7! It has a gorgeous vintage old hollywood glamour vibe! Very nice selection of ear candy! im your newest follower oon bloglovin! these would be great for attending a wedding!